Having implant surgery is something that creates food and drink restrictions that can put a damper on celebrations and events that may feature prominent items that are generally bad for post-operative care. However, if you have recently been a patient of dental implant surgery, there are some risks involved with alcohol that you should be aware of. 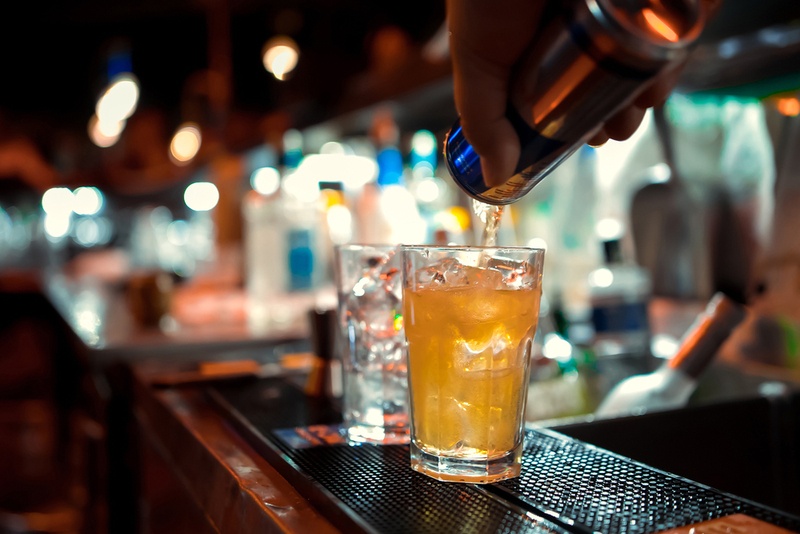 Knowing these facts about alcohol and your implant surgery will not only keep you comfortable but will also keep you safe. How Long Should I Wait Before Drinking Again? At FastNewSmile, one of the most common questions that we get is how long after surgery can one consume alcoholic beverages. There are many reasons for you not to drink directly after an extraction or implant procedure, but we recommend waiting for at least 48-hours post-surgery before making an official toast. Especially during the first 24-hours post-surgery, you should be resting, relaxing and allowing your body to form essential blood clots to promote healing. One of the most dangerous combinations for a person’s body is the mixing of alcohol and prescription painkillers. Many people mistakenly believe that drinking will promote further numbness and comfort for an aching mouth. However, this action can create deadly reactions and we recommend that anyone abstain from alcohol when taking pain medications. Aside from deadly interactions when combined with medications, alcohol can have some negative effects on your post-surgery healing process. Consuming alcohol shortly after implant surgery can delay your wound healing. When alcohol enters your bloodstream, it decreases your body’s efforts to produce essential proteins involved in the healing process. Failure to produce these proteins lead to the failure of formed blood clots and could eventually result in the ultimate failure of your implant. Alcohol naturally dehydrates your body and this is a real problem during the healing process because your body needs to be hydrated in order to prevent straining while the dental implant acclimates to your gums. Not only will alcohol cause straining on an already tired body during healing, but it will cause an immense amount of pain. Yet another side effect of alcohol is that it dilates your mouth’s blood vessel and makes the surgical site even more sensitive than it should be. The pain that one would normally experience during recovery is substantially increased and suddenly, that “one drink” wasn’t worth the taste. Have Questions Before Your Surgery? FastNewSmile can Help! At FastNewSmile we know that making the choice for dental implants is a big one that will leave you with several questions. We pride ourselves in putting our patients first and are prepared to meet any of your concerns with an expert answer. Contact us today to schedule a consultation and find out more about dental implant surgery.